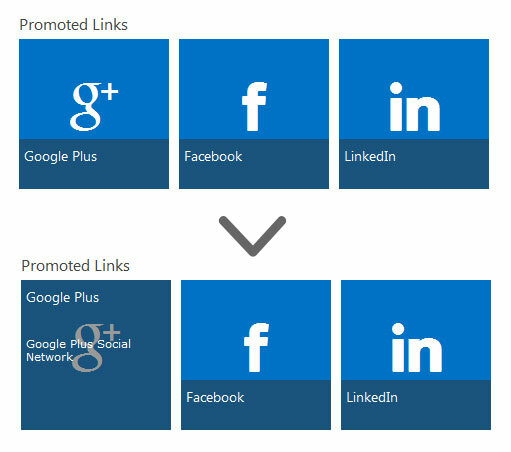 Here is a screenshot of what the OOTB SharePoint 2013 version of the Promoted Links looks like. As you can see its a very clean and nice Metro Windows 8 style interface. 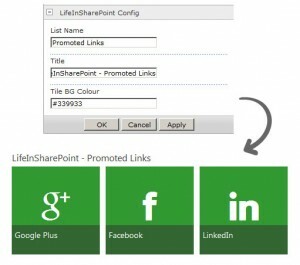 So what is new in the LifeInSharePoint Edition? Customise the Background colour of the blocks using the WebPart Settings. 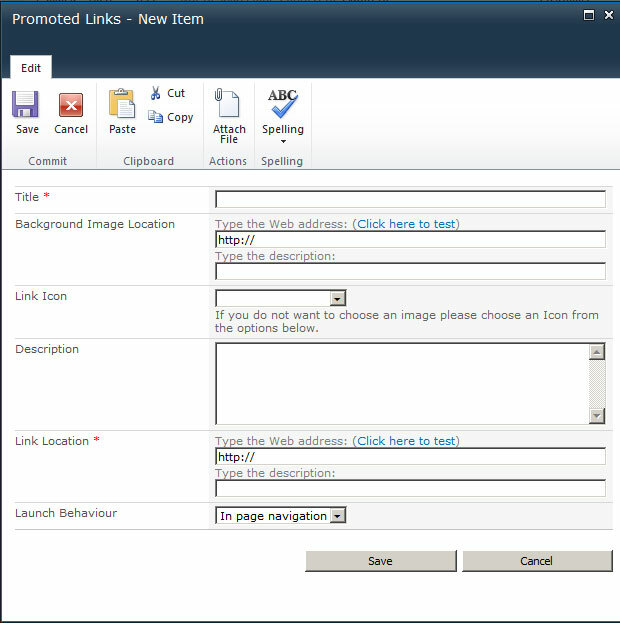 Custom Link Titles using the WebPart Settings. Integration with Font Awesome. If you cannot find a suitable image try one of the hundred odd icons from the inbuilt font. To use the new Promoted Links WebPart first download and upload the solution to your site collection. After you have activated the feature you are able to create a new list from the LifeInSharePoint – Promoted Links list definition. Once you have created the list please modify the default view and and enable the radio button “Allow users to order items in this view?” After this you are then able to add the WebPart onto the Page and configure the webpart to point to your newly created list.